Eric and Amy with their newest baby Hunter, seized from them at just 2 days old. Photo source – Bringing the Ziegler boys home to their parents  Facebook page. 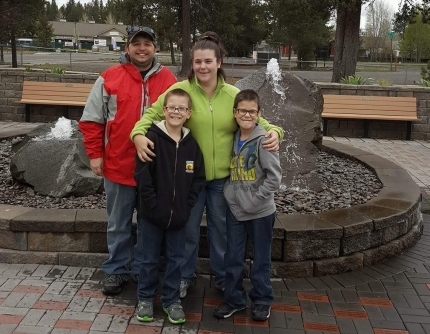 For nearly four years, Amy Fabbrini and Eric Ziegler of Bend, Oregon, have been fighting to prevent Oregon Department of Human Services’ Child Protection Services from terminating their parental rights to their children. The agency has deemed the couple “incapable” of parenting. CPS claims that the couple cannot provide for their children because they are believed to be intellectually limited. 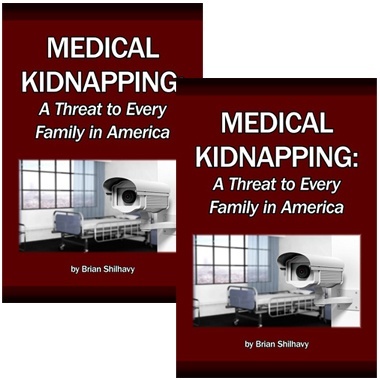 Since MedicalKidnap.com has started covering these stories, we have learned that child social services around the country seldom remove children from homes due to “abuse” anymore, but have now mainly resorted to using a much broader category of “neglect” where they determine who is a good parent and who is not. Their oldest son Christopher was taken four days after he was born in September of 2013. Amy had been living at home with her parents and her two twin boys who are autistic with special needs. 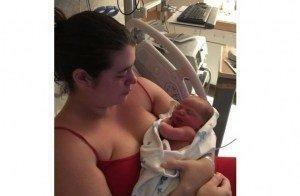 When Amy gave birth to Christopher, it was a surprise to everyone, including Amy. She did not know that she was pregnant. Amy suffers from endometriosis and is accustomed to pelvic pain and irregular periods. So, when she experienced labor pains, she thought it was related to endometriosis. During her pregnancy, Amy lived with her parents, and they helped her raise her two twin boys from a previous relationship. Reportedly, the twins’ father was not engaged in their lives. 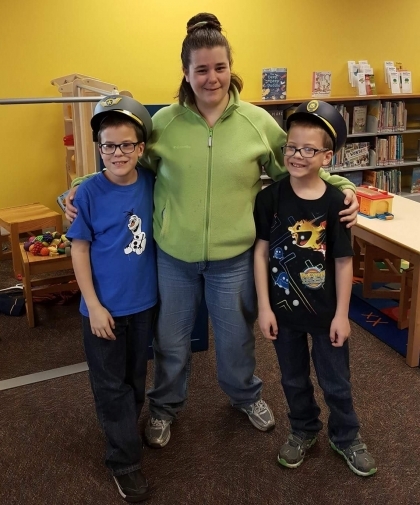 Amy with her twin sons. Photo provided by the family. Every time I mentioned to Dad that I wanted to move in with Eric, he would make me feel bad by saying that if I did, he would turn me into CPS, and that we would never get to see the twins. He even told the twins this. Amy feared that her father would call CPS, so she nixed her plans. But, shortly after that, the couple learned that Eric’s former roommate called CPS to report the couple, after reportedly getting mad at Eric. 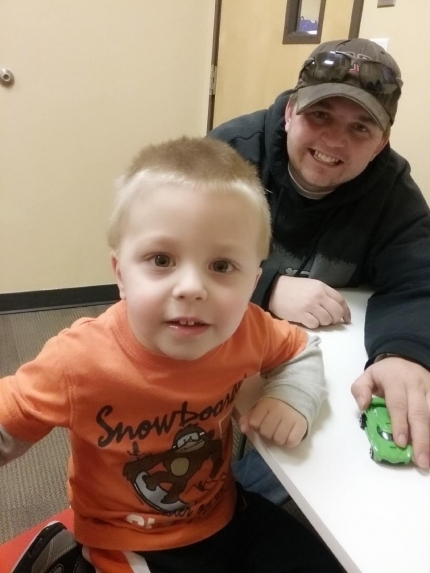 CPS came to the home and seized Christopher. Amy’s father was allegedly angry and did not approve of the move. He reportedly called the police, telling them that he did not think that Amy could take care of her children. CPS became involved and removed the twins from their school the following day, placing them with their biological father. Amy claims that her father lied to the police and CPS about several things regarding her. Now, CPS is seeking to terminate their parental rights. Whistleblower and professional mentor for the couple, Sherrene Hagenbach, has reached out to Health Impact News and others in support of the couple. She learned about Amy and Eric when CPS assigned her to the family as a volunteer Social Service Agent (SSA). In that capacity, she was to observe visitations and then write a report to submit to CPS. Hagenbach’s education includes a degree in criminal justice, social science, and psychology. She has a master’s degree in negotiation and conflict resolution, and she is currently working on her doctorate in education, with a focus on organizational leadership with conflict resolution. 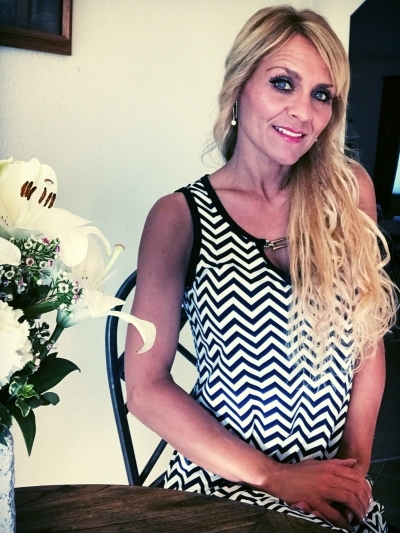 She has 20 years experience as a volunteer including working as an advocate for at risk youth, managing and assisting for a non-profit at church, counselor at a pregnancy resource center, Court Appointed Special Advocate (CASA), and mentoring with multiple organizations, assisting kids and young adults who are high risk, encouraging and promoting positive life choices. She is a life coach and volunteer for an organization that supports families with family service plans under CPS, often serving as a mentor for parents such as Amy and Eric. She tells Health Impact News that she could not stand by and watch this family being torn apart by the ambiguous standards that CPS uses to determine who is intellectually competent to parent and who is not. Advocate Sherrene Hagenbach fights for justice for the Ziegler family. Photo provided by Hagenbach. Case Sets a Dangerous Precedent – Who is Qualified to be a Parent? According to Hagenbach, this case sets a dangerous precedent by allowing CPS to decide who is qualified to be a parent, based on the opinion of the extent of a parent’s intellectual capacity. We’re opening it up to the government [to decide]—leaving it up to their standards. Since speaking out about the case, she and others involved in the case who have shared her sentiments have been “relieved of their duties” in the case. When she realized that the couple was being discriminated against based on mild learning disabilities, Hagenbach took it upon herself to investigate, locating high school transcripts that include report cards and state testing results. After reviewing those records, she still could not understand why the couple is being targeted for TPR. I’ve got ADHD, and I’m in a doctoral program. Hagenbach has worked closely with the family, and it baffled her to learn that the couple is being denied their children. The couple has completed everything on their family service plan, and they even sought out and completed extra classes that were not required for them. They both graduated with a [standard] high school diploma. In state testing, they came in the middle of their class. They live in a home. 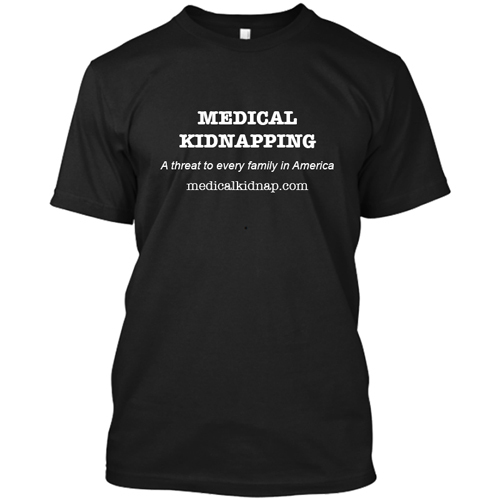 They have medical and dental insurance. They don’t drink. They don’t do drugs. They have studs on the tires in the winter for safety. They have taken more parenting classes than anyone I know. 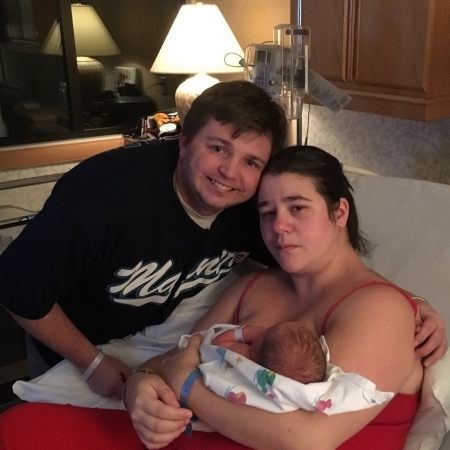 Amy and Eric’s second son Hunter was born in February 2017. He was taken from them by CPS two days after his birth. Both of their boys live with the same foster parents who have never had children and are eager to adopt. One day after Hagenbach met with the social worker, whom she declined to name, she relayed to Amy that he said that he was not going to allow Christopher back in the couple’s care. Our investigation revealed that the social worker is Isaac Martin. She went on to say that Martin told her that he was moving the case to adoption. Therefore, the foster parents were one step closer to finalizing the adoption process. 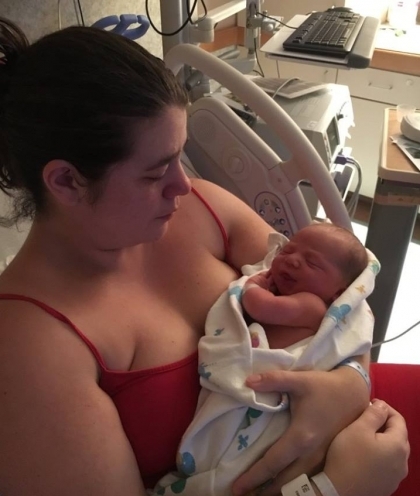 Amy with newborn Hunter, born in February 2017. Photo courtesy of the Ziegler family. Hagenbach is disturbed at how foster children of a certain age are placed with foster parents who are in search of such children. She pointed out that many of the potential foster parents have chosen to be foster parents simply because they want to adopt. This is indicated in their file, as well as the age of child that they are looking for. Often, this results in the couple who wants to adopt an infant or child being given one to foster that meets their search critera. You promised me this baby! There can be ulterior motives. There’s nothing to regulate that. There’s no reason to have these children out of their home. Amy and Eric have completed every class that CPS asked them to—every psych evaluation. She went on to say that Eric has lost several jobs because of this situation. Currently, he works as a day laborer because of the instability waged on his and Amy’s lives by CPS. I was released of mine. I am more highly trained than the majority of them. They released me two days after I testified in court as to how they were parenting. Because I was truthful and had a positive reflection on the three months of visitations, etc., they let me go. She went on to contrast the amount of power that CPS has with their lack of knowledge and experience about the damaging effects that their policies have on a child’s development. As a Social Service Agent, she observed CPS workers who were “fresh out of school without life experiences of the challenges of being a parent.” Because of this, she said that they were judgmental. She said that they lacked empathy and understanding of what consisted of one’s “basic needs.” As a result, the workers appeared critical, looking for the bad in families rather than acknowledging the positive. Hagenbach said that the workers had critical spirits about the children and had an expectation that the parents would “mess up” rather than succeed. She said that this was evidenced in their lack of communication with the families about their life choices, etc. During her visitations, Hagenbach observed CPS workers talking and visiting with other SSAs the entire time. Their conversations were about the negative aspects of other cases, which were unrelated to the one that they were to be observing—giving their full attention to. She said that there was a lack of interaction with the families that they were to be observing as well. Eric and Amy just want to be able to parent their own children. Photo provided by the family. Hagenbach has been to every court proceeding since last August and has reached out to everyone involved in the case including the judges, expressing her support for the couple and concern for the detrimental effects that this situation is having on the children. She has also sent them scholarly articles on attachment disorders in children. I want to be behind them until they have their children back in their home. You’re gonna love this case I’m giving to you. It’s a f***ing circus. I don’t understand why the child’s gone. Why is the child still gone? He’s [Eric] fat and lazy. He has poor hygiene. Eric is retarded. Eric with Amy and her twins. Photo provided by the Zeigler family. It was completely shocking to me! I went in pretty naively. I thought that they [CPS] cared—that they wanted their children’s success. If they can make that a healthy family, that’s truly the best success for a child. That is not what I found. She has felt all along that Amy and Eric are excellent parents. Every report that she submitted reflected that. She said that once she began submitting positive reports, CPS began giving her faulty equipment like crashed laptops or laptops with dead batteries and no charger. She said that she was “sabotaged,” which caused her to never be fully prepared or to be late for visits. This cut into the visitation time. When she asked for them to have extra time, she was denied, stating that Christopher needed to be back at the foster home. She said that it was not unusual for CPS to cheat the family on their visitation time. By this time, Hagenbach had enough and blew the whistle. Once she did, Martin was taken off the case. They stick with it. They fight to the end. Other issues that bothered Hagenbach include CPS reports which said that the couple was unfit to parent because the house was not picked up and they did not brush their teeth. She was especially angered to learn that CPS allowed Christopher’s foster parents to call him Son and allowed the foster parents to have Christopher call them Mom and Dad. Christopher with his REAL daddy. Photo courtesy of the Zeigler family. Judge Stephen Forte has been the primary judge for the couple’s cases, and Judge Alta Brady granted that the plan be changed from reunification to termination of their parental rights and adoption for Christopher. Last fall CPS tried to terminate Amy’s parental rights to the twins and placed them with their father. The family is thankful that the termination of Amy’s parental rights to the twins was stopped, and that Amy currently gets visitation with them. However, now, CPS seeks to terminate Amy and Eric’s parental rights to baby Hunter. They keep postponing it. That’s what this system does. They don’t have jurisdiction over the child [yet]. They’ve had him almost three months. I want to stand up for what’s right, for all these families that must be in the same situation and they don’t see any way out. The children are the ones being affected and abused. It’s such an about face from what the organization is here for. They are hiding information and not presenting a true and accurate case. The judges are given wrong information by CPS, but the judge is bound by the law. They [the judges] are following the law based on the information that’s provided. If the attorneys are too busy, go and look into it for yourself. Get someone not paid by CPS. Not only does this family need the message to get out about what is going on, but so do many other families who have found themselves in this same position. 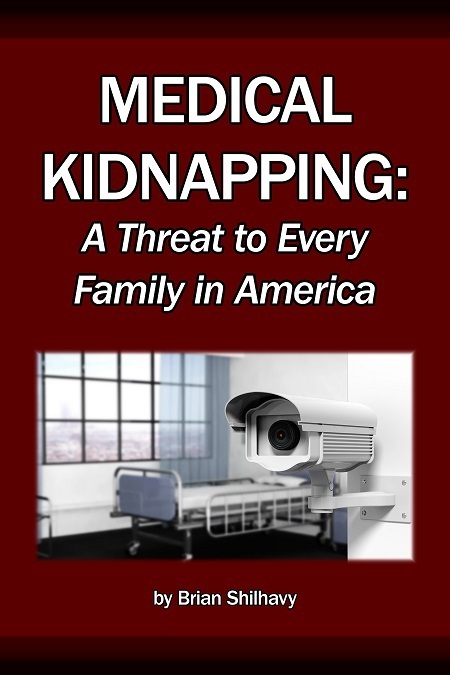 The concern for Hagenbach is that the longer the children are kept from their parents, the more susceptible they are to developmental issues. She has sent literature to those involved in decision-making for this case to educate them on the gravity of this situation. I have documentation/peer-reviewed articles [there are many] on evidence-based research that backs up Eric and Amy as parents and the destruction that what CPS has done to this family unit; also, to the child’s attachment, and how that trauma affects the development of the infant and possible future attachment disorders in adult relationships. This damage was done to Christopher, and now to Hunter, with no evidence of neglect, abuse, or intellectual handicap being so severe that they cannot love and care for their children. Why is it that CPS, our government, decides what parent is best for a child, based solely on intellectual levels and economic standards? That is a slippery slope. I believe that CPS has a role in our nation, to protect those children who are being abused and severely neglected. They need clear and concise guidelines for what is or is not standard for intellectual abilities to raise a child. This standard needs to be clearly identifiable, with NO question, opinion, or judgment based off of a CPS employee liking the parents or not. According to Hagenbach, Senator Tim Knopp has met with the couple and has been actively involved in investigating this case. 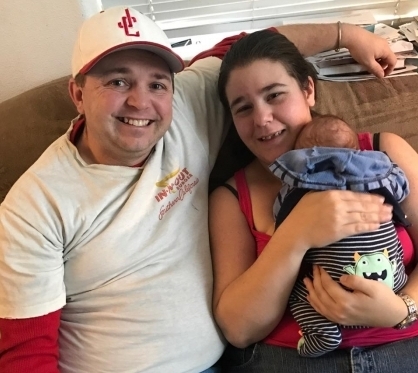 The couple will go to the Oregon Supreme Court on June 1 where CPS is expected to have their parental rights terminated. Their Facebook page is Bringing the Ziegler Boys Home to their Parents . There is a petition for the family: Senator Knopp Please Help the Fight to Get Christopher and Hunter back to their Parents . Oregon Governor Kate Brown may be reached at 503-378-4582 or contacted here . Her Facebook is here . Her Twitter is here . Senator Tim Knopp may be reached at 503-986-1727 or contacted here . His Facebook is here . His Twitter is here . Representative Knute Buehler may be reached at 503- 986-1454 or contacted here . His Facebook is here . His Twitter is here . Oregon Department of Human Services Child Protection Services may be reached at 541-388-616.